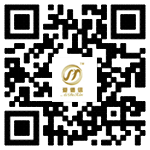 For the hotel to meet the requirements of the guests first, the hotel also realization of its goal. Various facilities aging or various low-value products has obvious old and do not change in time, save costs, appeared on the surface reduces the costs, but in the long run, to meet the needs of the guests, and ultimately will harm the interests of the hotel. On the question of equipment repair and maintenance, the housekeeping department should cooperate with engineering department has the good, hotel guest room facilities maintenance and maintenance plan, and to implement the plan. Avoid by all means don't want to spend the necessary manpower and material resources, and facilities in advance of reported loss that cause, cause more waste. Only to ensure that the expected service life of equipment and facilities, can effectively implement the cost control. Though some programs do not directly generate revenue for the hotel and have help hotel main product sales and the overall increase in earnings, but also make the guest benefit. If the hotel in order to save cost and cancel some subtle and necessary projects, to reduce costs, often backfire.